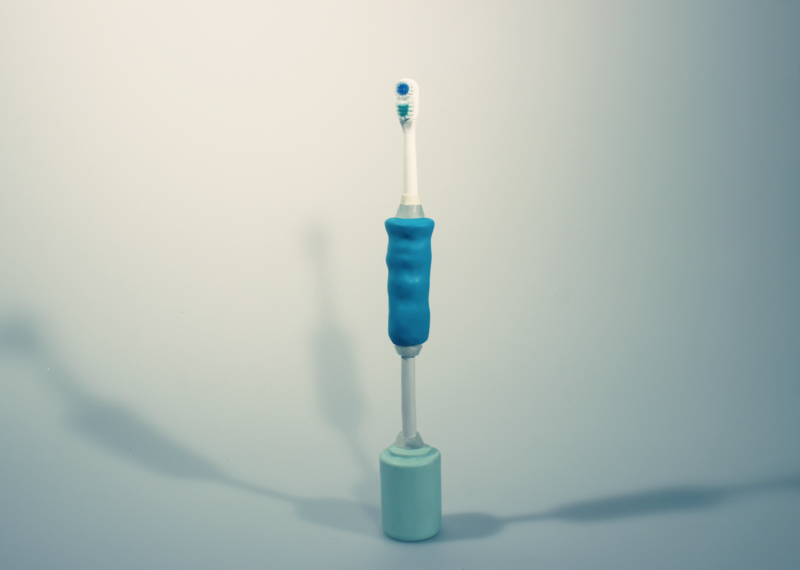 Focus: Design for User Needs. 1 in 5 U.S. adults will be diagnosed with arthritis. 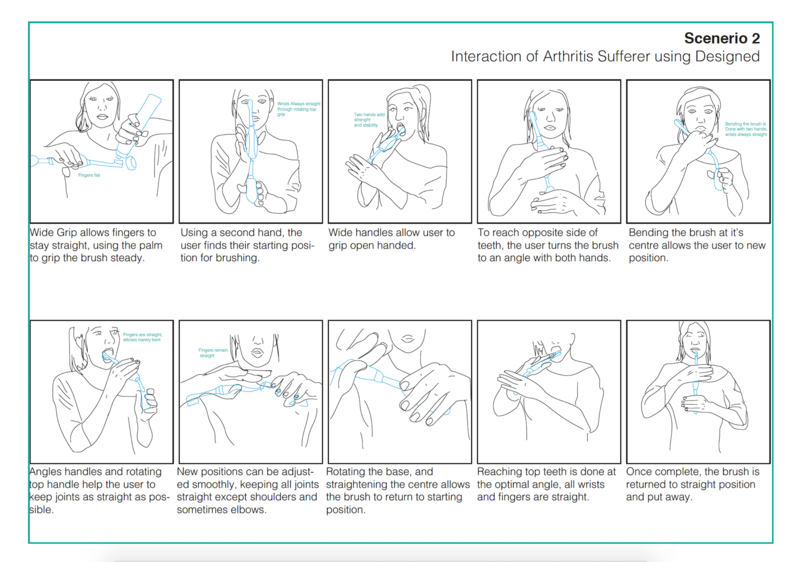 Arthritis is so common yet the market for products that help sufferers to avoid symptoms and feel comfortable is limited. 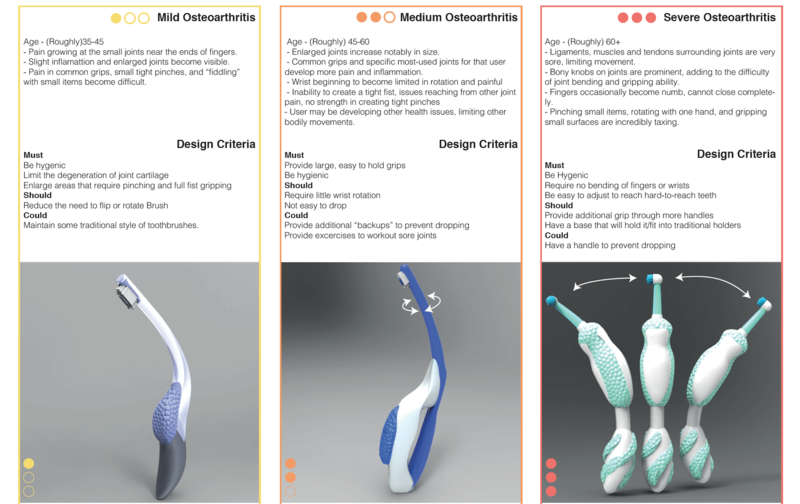 I researched the industry for arthritis products, anatomy and medical devices, and statistical analysis and behaviours surrounding the condition. 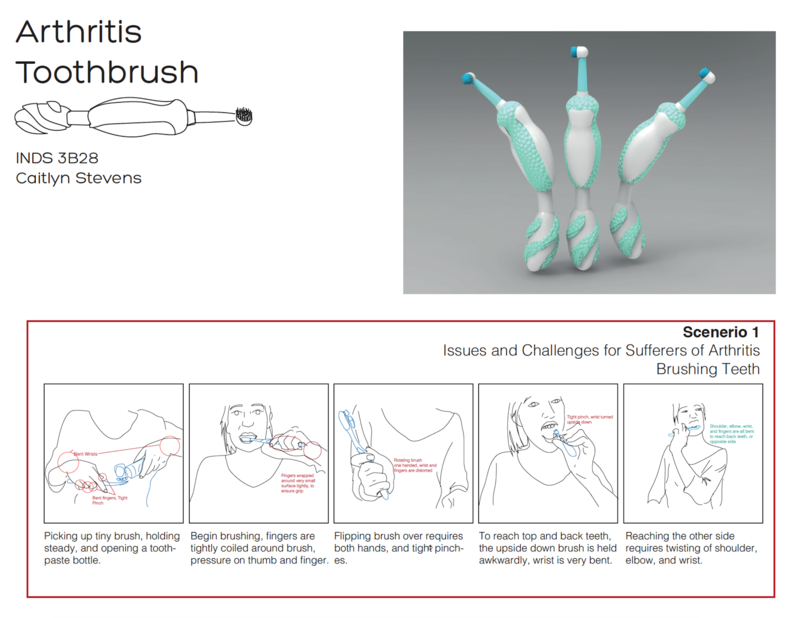 The project was focused on the challenge of assisting with hygiene, and after sketching, testing and creating mock-ups, resulted in 3 brushes, one for each level of pain. The final prototype was for intense pain, with joints from the tip of the finger, to the shoulder feeling pain. What makes up a joint?